Book lovers and coffee drinkers no doubt have an excess of cardboard and coffee grounds on their hands. But before you chuck them in the recycling bin, why not consider reusing those materials to grow mushrooms? It may sound strange at first, but nutrient-rich coffee grounds and corrugated cardboard are a match made in mushroom heaven. All you’ll need is a plastic container cleaned with rubbing alcohol and perforated with four to six quarter-inch holes; corrugated cardboard that’s been soaked in water for at least one to two days; quality mushroom spawn that can be found online; and spent coffee grounds, ideally from the day-of. Starting with the cardboard, layer the materials in the container like you would lasagna and cover each sprinkle of spawn with coffee grounds. Then, watch the magic happen! Book lovers and coffee drinkers no doubt have an excess of cardboard and coffee grounds on their hands. Reusing those materials to grow mushrooms is easy. 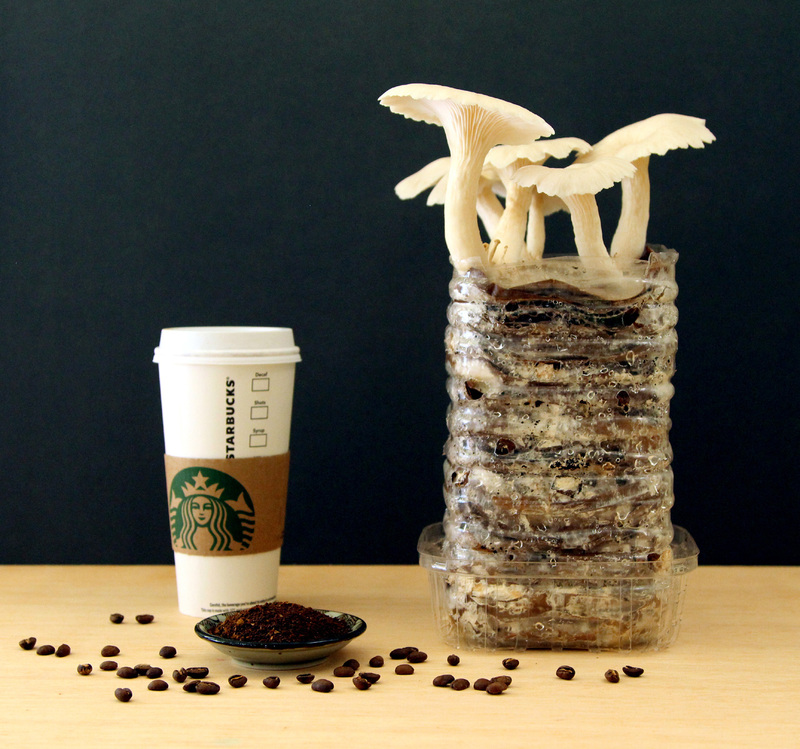 It may sound strange at first, but nutrient-rich coffee grounds and corrugated cardboard are a match made in mushroom heaven. All you'll need is a plastic container cleaned with rubbing alcohol and perforated with four to six quarter-inch holes; corrugated cardboard that's been soaked in water for at least one to two days; quality mushroom spawn that can be found online; and spent coffee grounds, ideally from the day-of. They grew to this size in four days. Starting with the cardboard, layer the materials in the container like you would lasagna and cover each sprinkle of spawn with coffee grounds.